Have you created a killer LED project? Want to meet other like minded LED creators? We will be holding the 'LEDs are awesome!' meetup under our giant LED ball on Wednesday 29th at night from 9 to 11pm. 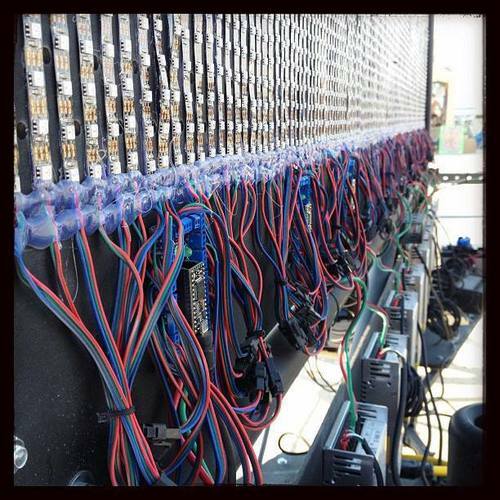 Large or small, show off your LED creation to other creators at Camp Illuminaughty! 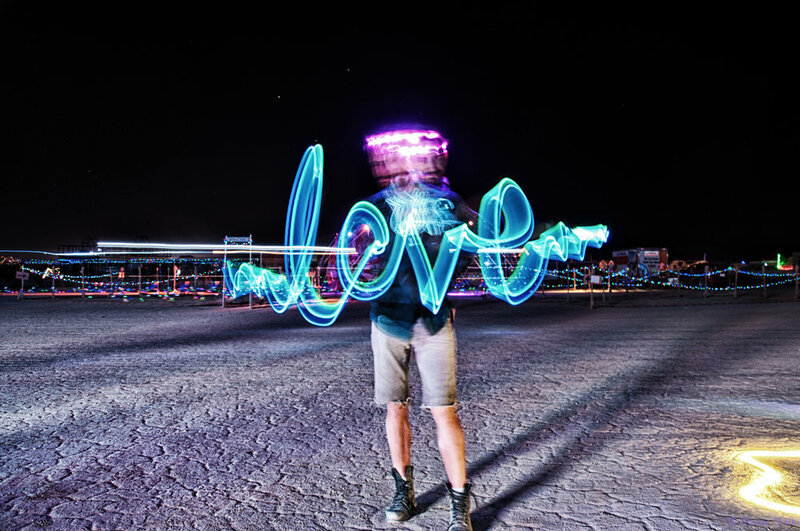 At night, burners can participate in our light painting activity: draw anything with light and get it immortalized on a photo that you will access after the burn! The long exposure technology that we use has incredible results, as you can see on the right. People have birthed a wide variety of creative art of all sorts. Make your own at our light painting station, every day from 10PM and onwards! a bunch of Illuminaughties decided that they wanted a place to relax and drink tea with other burners in the middle of the day, all inside a beautiful and colorful dome of which the floor was covered in carpets and pillows! 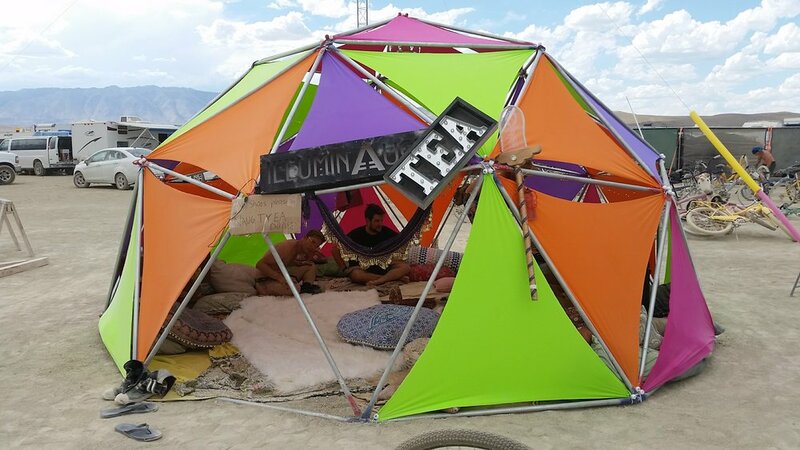 Happening every day from 2PM to 4PM at Camp Illuminaughty, the Naught-Tea dome welcomes burners from all horizons who want to soothe their bodies and minds to tea of all sorts and kinds. New people, whether just passing in the neighborhood or completely lost in their playa adventures, are invited to come in, sit down, and share their adventures, their songs, their jokes and their wholesome being with others (and us). And did we mention that you might also add a hint of alcohol in your already hot drink? Did you ever play Bowling with a tire? Trying to destroy buildings represented by illuminated boxes that make a sound when they are knocked off? No? Well, you can lose your virginity at Camp Illuminaughty where we'll train you to be the best city destroyer of the playa in no time! Whether you aim for the purples, the blues, the yellows, or the greens, you will eventually put those buildings down... if you do not first hit Ryan who's supervising the operation. Please don't hit Ryan. We want to keep him with us next year.